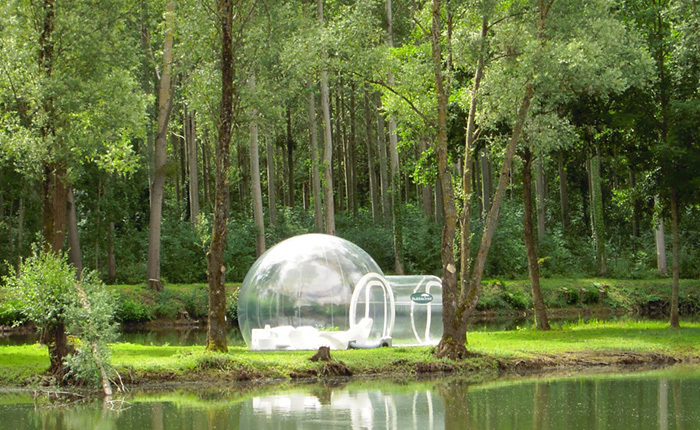 If you thought the glass igloo hotel in Finland was cool, then you’ll love this unique tent. 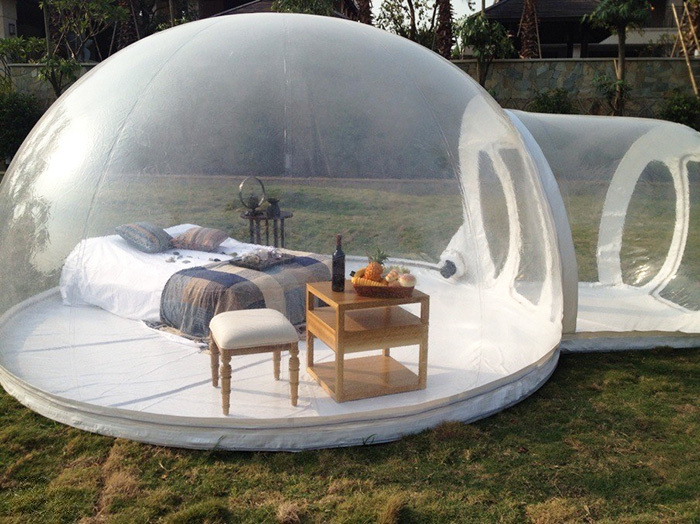 The wizards at Holleyweb have invented an inflatable, PVC, transparent, bubble tent that lets you live outside, but with all the comforts of home. All you need is 2000 USD or appox £790 pounds + nearly as much again for shipping, the tent, and somewhere to plug in the tent’s blower, which is necessary to keep the tent inflated. 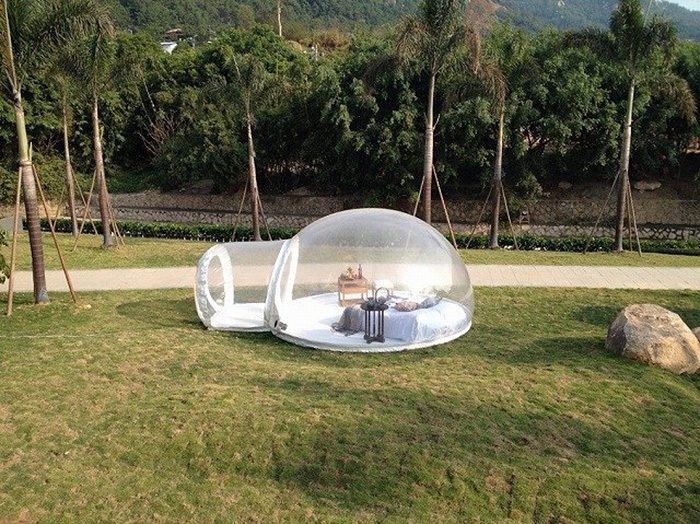 The four meter tent can house two people, depending on their size. And while this tent isn’t point-rock resistant, it is water-proof and fire retardant, for those rainy evenings when you want to cook outside. 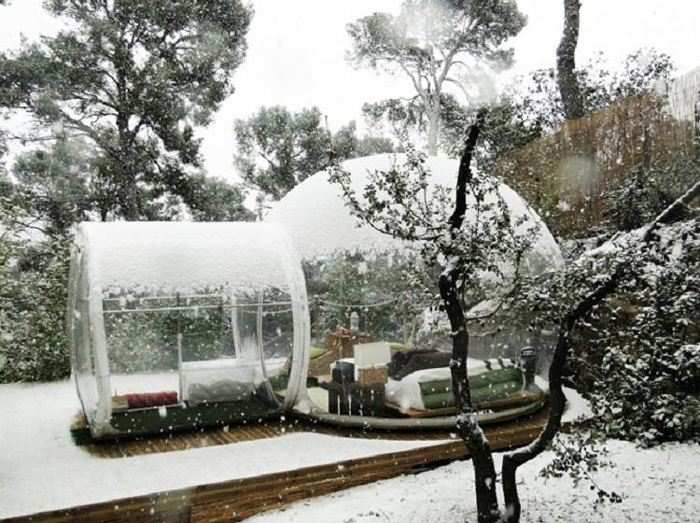 Inflatable bubble lodge tent is favoured for its wide application for advertising, camping, holiday leisure outdoor activities, trade shows, exhibitions, promotion, outdoor shelter, car shelter, etc. It can be easily installed in parties, parks, amusement centers, backyard, gardens. 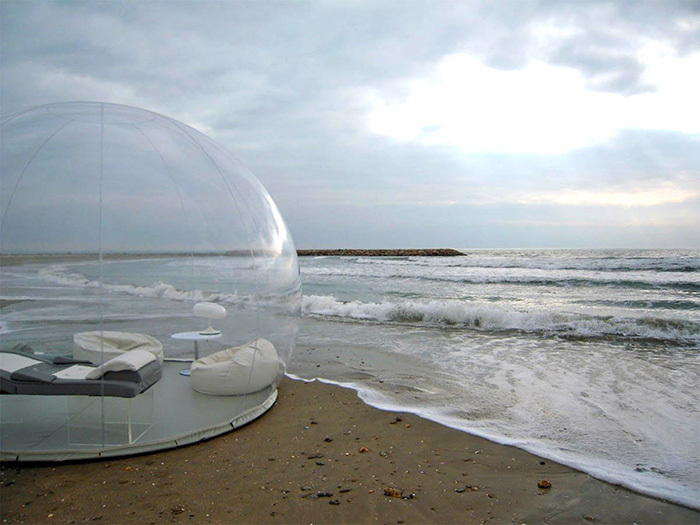 Cheap inflatable bubble lodge for outdoor camping and beach sight-seeing. This entry was posted in Home, Tents. Bookmark the permalink. Is Circumcision necessary and healthy? How to : Make furniture out of pallets.